What do users really need in public spaces? How can we integrate simple daily requirements into shared services? The Urban Design Observatory met Gérard Bouché, interior architect, programmer, ergonomics consultant and architectural project manager. His many activities lead him to observe, feel and translate the multitude of impressions that make up our collective experiences. With the enthusiasm of a man passionate about his job, he offers us an original interpretation of our daily habits in the city, the “scenes of daily life” that are not always taken into account in the services provided by local authorities. Hello Gérard Bouché, from an ideal arena for public debate to areas colonised by cars and shop chains, public spaces are used in a variety of contradictory ways. What do users need and expect in relation to these shared spaces? First of all, I’d like to explain the term “users”. As living actors in today’s world, they are subject to physical differences, differing capacities to understand based on culture and varying physical states, particularly the elderly. I believe it is important to highlight this before reflecting about urban spaces any further. When we refer to urban space, the idea of movement dominates. Users evolve in the city through the journeys they make (along pavements, past shops and monuments). This movement is obligatory and there are few opportunities to stay still in cities. It is even considered suspicious or strange to stop. Urban spaces order us to move and circulate, we can almost hear a whispering “Move on, there is nothing to see”. To answer your question, I believe that users seek refuge from this aggression in places that offer calm and retreat. By taking an interest in public spaces, we are recognising this passage from refuge to refuge. How can we extract ourselves from this overwhelming flow where we feel we no longer have a place? Shops and cafés are a solution to this need for protection, even if the noise sometimes discourages people from staying. Places of calm are rare in cities, which are increasingly dominated by commerce. Understanding user expectations also requires us to take into account the need to distance ourselves from the prevailing tide of individualism, where by most people hurry to go straight home. City designers haven’t integrated this need for nonchalance that encourages us to wander and talk to other people. This is reinforced, on the one hand, by the omnipresent use of technology particularly smart phones, which reduces opportunities to come into contact with others. On the other hand, it is also reinforced by decision makers who place too much important on security. For example, at the school gates there are numerous measures to ensure children’s security, but these discourage parents from stopping to park. Once again, we are told to “move on, there is nothing to see.” There aren’t any convivial spaces where parents can stop and chat, even if only for a few minutes. Although technology has advanced, it is clear that some very simple every day moments have not been incorporated into thinking on public spaces. These needs lack a clear framework within which they can be analysed. Security is ensured using technology, but the psychological dimension is neglected. This is true for telephoning in the city. Public payphones have been removed because of smartphones, however, people still need to phone from a place of calm. There are no longer any spaces adapted for this. We have the opportunity to reinstate the notion of the “collective”, where technology has currently taken the upper hand. Urban designers and planners consider public spaces from a very individualist perspective. Whereas, they should seek out users’ hidden needs, needs that users don’t express aloud or don’t even know exist. This requires help from other disciplines such as ergonomics, psychology and sociology in order to respond to questions such as: Who are the users? What are their problems? What shapes their daily lives? I find Marc Aurel’s approach to this very interesting. What means are available to architects and urban planners to help develop exchange, well-being and participation in these spaces? I believe that analysing urban spaces requires a multi-facetted approach. Ergonomists, like myself, provide a clear vision of these uses, which usually applied to the world of work. Applying this vision to urban space could produce some very interesting ideas for architects, urban planners and designers. An urban approach involves staging “daily scenes”. We need to take the time to see how uses evolve. 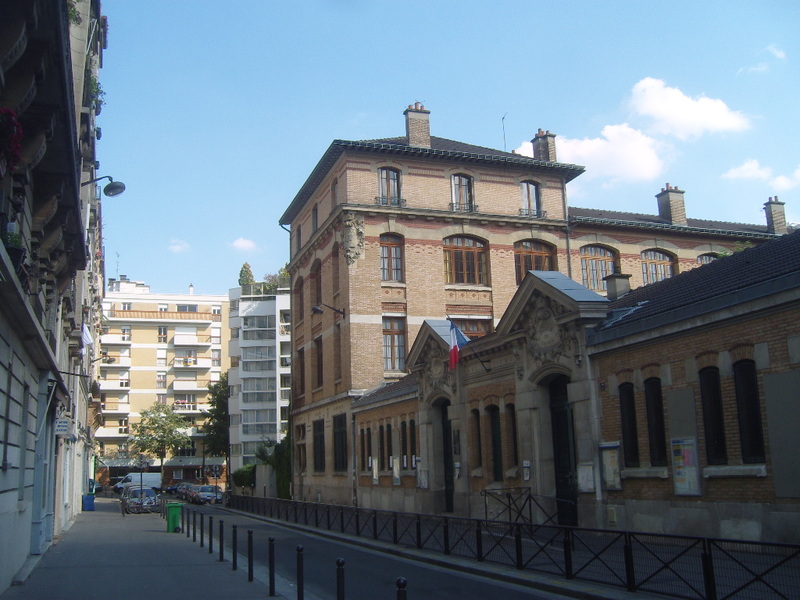 The Osmose bus station in Paris provided a rich and qualitative exploration of this subject. It is interesting to leave empty “wasteland” areas in cities where we can observe these changes without the pressure to succeed. Political decision makers are often discouraged by the failure of certain urban projects. Whereas it would be more interesting to ask why it didn’t work and what users really needed. 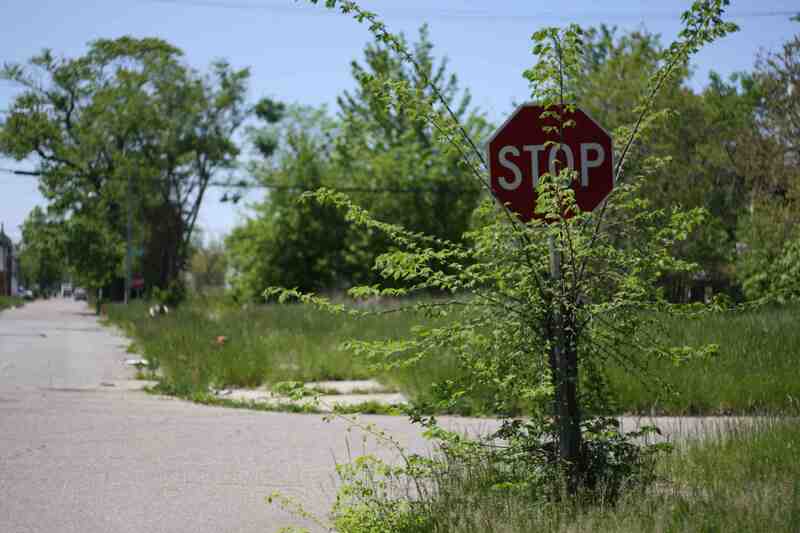 Urban wasteland: a desirable place for experimentation in the city? What impact does street furniture have on users’ perception of public spaces, particularly in public transport? 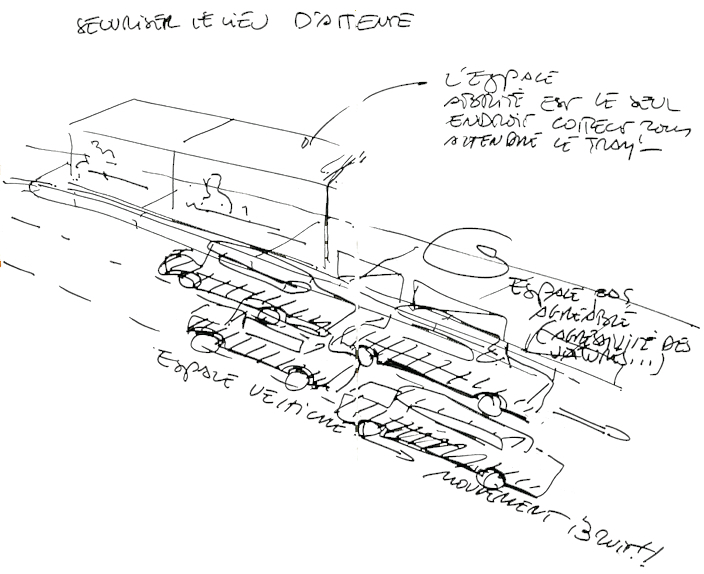 Street furniture is an opportunity to integrate new services, as Marc Aurel did with the Osmose bus station. For example, making sure the bus arrival is clearly displayed so users can manage their time more effectively (e.g. buy a newspaper or phone someone while waiting). This kind of reflection often doesn’t go far enough. Whilst a minimum level of security is ensured, users are given an ultimately misleading sense of independence. Street furniture is one of many ways to meet these needs. We could also imagine convivial places that bring people together. For example, in children’s playgrounds little thought is given to the parents who often get bored. Likewise, at the entrances to playschools, the lack of welcoming spaces encourages parents to leave quickly. Services provided in public spaces are often not as effective as they could be as “daily life scenes” haven’t been taken into account at the planning stage. There are without doubt also other kinds of street furniture to be invented! 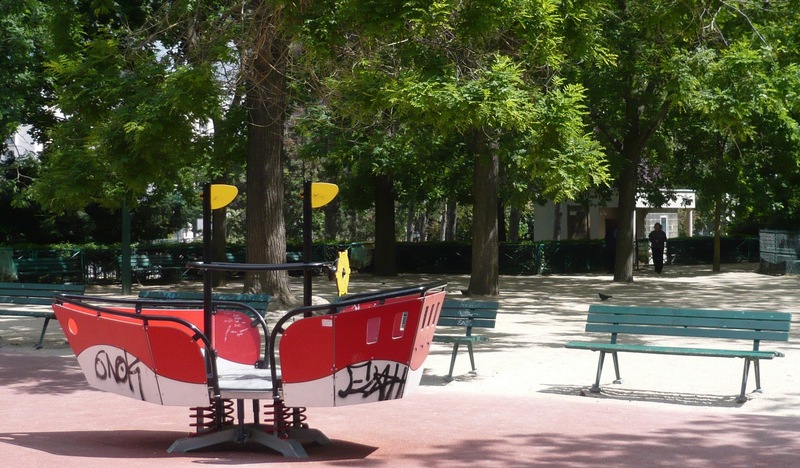 Children’s playgrounds – boredom for parents? Do you think that public spaces can sometimes be treated like a series of interiors to favourcomfort, conviviality and intimacy? Yes, I couldn’t agree more and I find the idea very interesting. Whatever the scale of the project, the user is the same. 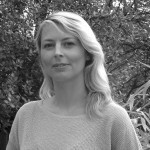 Users carry with them expectations, constraints and a degree of poetry. This poetic dimension is often ignored in public spaces. The bench designed by Marc (Onda Collection) in ceramic is a remarkable example. At first, people were afraid of breaking it, but they also appreciated the softness of the seat. This seat adds a “domestic” element to public spaces. Unfortunately, decision makers don’t always think about well-being, but rather about preventing degradation. 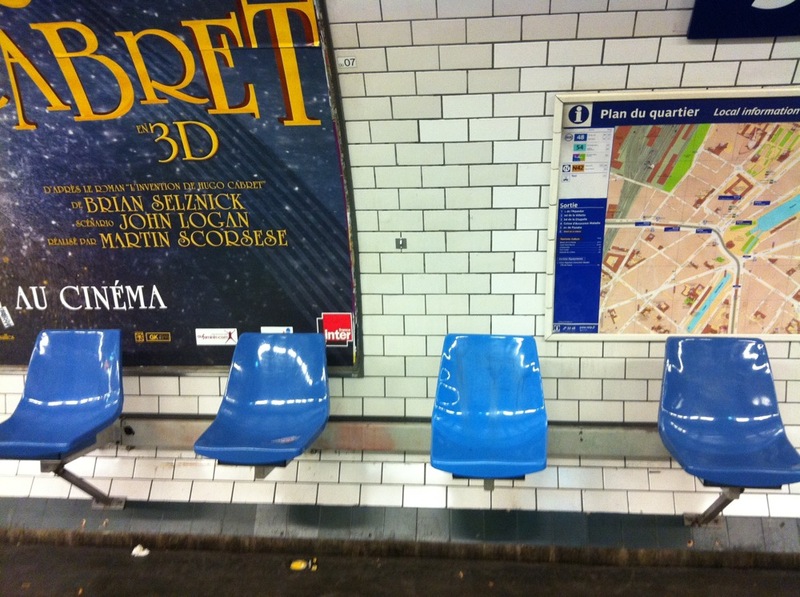 Consider, for example, changes in the seating for the Paris metro. To avoid homeless people lying on the benches, they seats are now separated and we can no longer sit close to our travelling companions. Decision makers in charge of ordering street furniture are obsessed by the idea of risk. Personally, I’d like to find an urban environment that makes me want to stay. Why are well-being and relationships with others often thought of in negative terms? By always providing a minimum service, decision makers exclude part of population from the system. For example, many old people avoid taking the bus for fear of getting hurt. I think that comfort and conviviality are important provided that they are accessible to all. If conviviality is linked to new technologies this often excludes older people. What role do you think companies like JCDecaux will play in maintaining and enhancing our spaces, given the local authorities have increasingly limited resources? I really admire JCDecaux and their desire to provide different services. However, they shouldn’t be the only ones to develop reflections about our public spaces. I’m not talking about introducing competition, but rather retaining a political vision on aspects of our collective life. JCDecaux may be responsible for maintaining an increasingly number of spaces, but local government should, at the very least, still be involved in coming up with new ideas. The impact of these reflections can’t be measured, but I believe this kind of debate can only be positive in improving our quality of life and well-being in cities.